The airport is located 20km southeast of Dubrovnik. It’s small, clean, and functional. There is a restaurant and café, plus information, exchange offices, and ATMs. A post office and car hire facilities are all to be found in the arrivals hall. Getting to town: scheduled flights are met by an Atlas bus which trundles into town (35 kn one-way), dropping off at Pile Gate (main entrance to the Old Town) before proceeding to the ferry port and the bus station. Municipal buses no. 11 and 27 also connect the airport to the town centre (28kn one way), but only run a few times a day. A taxi ride into town will cost 200 – 250kn. The coach station is a short walk from the ferry terminal at Gruž with all its amenities. ​There are frequent services to almost all Croatian destinations, while international lines mostly head for Bosnia and Herzegovina, with a handful of buses for cities in Italy and Montenegro. Coach travel is the quickest and cheapest choice for those on a budget, but if you’re heading for Zagreb, check prices with Croatia Airlines first. You may save yourself some money and a 14 hour journey! Ticket office: open 05:30 - 21:30, tel. 060 30 50 70 for information. Changing money: head east for Gruž harbour, where there are ATMs and exchange offices. Toilets: inside the terminal, costing 3kn. Left luggage: the cloakroom (garderoba) works 04:30 - 22:00, 5kn for the first hour, and 1.50kn per hour thereafter. Public phones are on the platform. Getting to town: buses to town stop right outside the station; take line 1A, 1B, or 3. Tickets cost 15kn from the driver or 12kn if you buy them in a kiosk or in a ticket office. Taxis wait by the platform. There are two harbours in Dubrovnik: the centuries-old harbour snug against the walls of the Old Town, and the commercial port at Gruž. The Jadrolinija ferry office and quay are at Gruž, a ten minute bus ride from the Old Town. The port looks onto the Lapad peninsula, where many of Dubrovnik’s hotels are located. Getting to town: hop onto an orange bus numbered 1A, 1B, 1C or 3. A ticket for a single trip costs 12 kn if you buy it from a news kiosk, 15 kn if you buy it from the driver. Tickets must be validated using the machine next to the driver immediately upon boarding. For the time being, there is a motorway to Ploče (exit Karamatići), 100 km away from Dubrovnik. After the exit just follow signs for Dubrovnik. Just south of Metković you pass through a corridor belonging to Bosnia and Herzegovina, so keep your passport or ID card handy. Check "Visa" under City Basics. Via Bosnia and Herzegovina: You can enter BiH from the A3 (E70) heading east from Zagreb, or via one of the roads heading south from Hungary. Of the possible routes, Bosanska Gradiška – Banja Luka – Jajce – Mostar is probably quickest, but you may wish to take a detour through the fair city of Sarajevo. When you get into Dubrovnik, a one way system leads east and west of the Old Town – try to have a map handy! Although Dubrovnik was once served by a scenic narrow-gauge railway, avid train-spotters will be dismayed to learn that the track was pulled up long ago. Those who are determined to travel by rail can still catch a train to Split (services from Zagreb) before continuing their journey by bus. 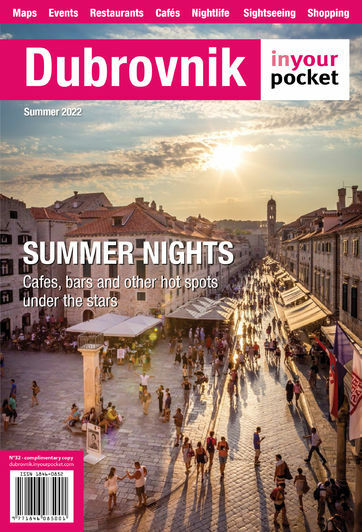 The Tourist Information Centres enlisted below are the official tourist centres of the City of Dubrovnik. All the information and materials made available are free and you are more than welcome to visit them.